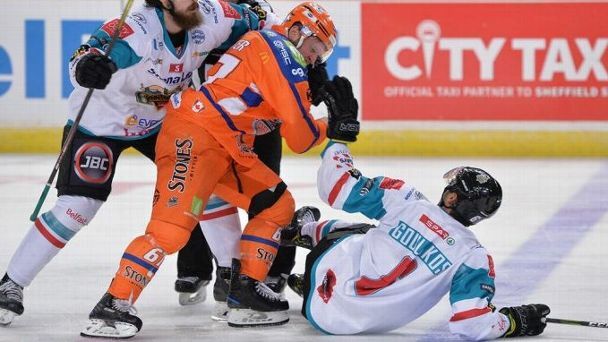 A stunning display of violence and a controversial display of "frontier justice" by the EIHL -- in which a blind hit from behind drew a single-game suspension while the victim got triple that for self defense -- is an astoundingly bad look for the sport. 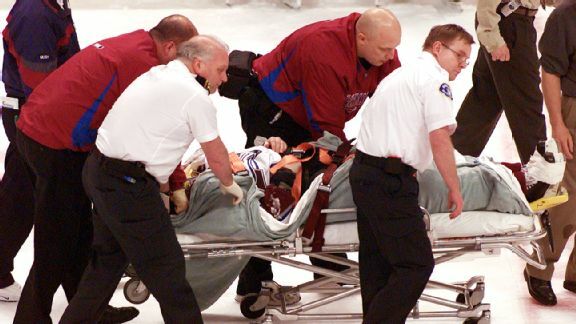 Steve Moore says the 10 years since his NHL career ended with an on-ice attack have been "long and trying," but he is glad to be done with the legal ordeal. Former NHL player Steve Moore's long-running lawsuit against Todd Bertuzzi and the Vancouver Canucks has ended with the sides agreeing to an out-of-court settlement. A U.S. federal judge has ruled a subpoena can be issued compelling former Vancouver Canucks owner John McCaw Jr. to testify in Steve Moore's lawsuit against Todd Bertuzzi and the team. 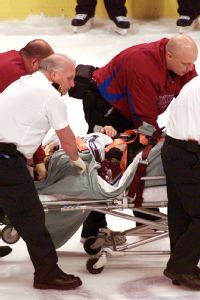 It has been 10 years since Steve Moore's NHL career ended with an attack by former Vancouver Canucks forward Todd Bertuzzi. With so many weapons to choose from, how could Team Canada possibly go wrong in selecting its 25-player squad? The truth is that it could go very wrong. After Thursdays frightening scene in Montreal, news that Johnny Boychuk was cleared to fly home with his team is most welcome. The Boston Bruins defenseman was unable to get up off the ice on his own after being hit into the boards by Montreal Canadiens forward Max Pacioretty. 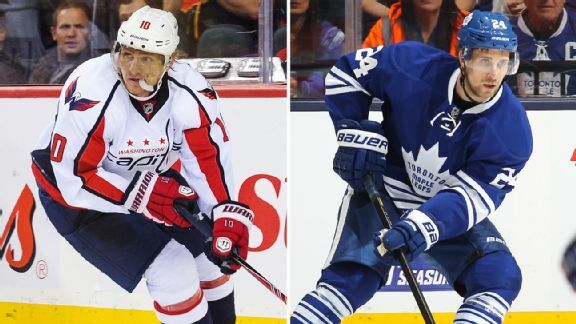 Now that the leverage-less Washington Capitals have little choice but to trade a disenchanted Martin Erat, where does the 32-year-old end up? 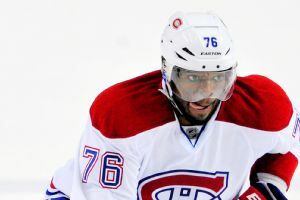 ESPN's Pierre LeBrun proposes the Vancouver Canucks are among a gaggle of teams intrigued by the idea of dealing for the proven winger. Bertuzzi poised for bounce-back year? The 2012-13 season was a forgettable one for Todd Bertuzzi. Various ailments limited him to seven regular season games and, when all was said and done, he had just two goals and one assist to show for his efforts. UPDATE: MLive.com reports the Detroit Red Wings will place defenseman Carlo Colaiacovo on unconditional waivers Wednesday for the purposes of buying him out (according to a source).